The fully equipped, large stone lodge, offers five luxury double rooms with en-suite bathrooms. Wakkerstroom Country Inn offer clean, comfortable accommodation with tasteful furnishings. Walkerbouts has six en-suite bedrooms complete with wall-mounted panel heaters and beds fitted with electric blankets to ward off the winter chill. Overlooking a pine forest and rolling sugar cane fields, the Wartburger Hof Hotel is situated in the Natal Midlands and within easy reach of Pietermaritzburg and Durban. Waterfall, A Forever Lodge is situated in the Kranspoort Mountains and offers the best of both worlds when combining the peaceful bush environment with warm hospitality. Discover the lost art of gracious relaxation and sophisticated elegance at Welgelegen Manor – a little bit of olde worlde country living. We are ideally located in the quiet suburbs of Ermelo, Mpumalanga and offer you 40 en suite fully equipped rooms. The trendy and stylish Westin Kuala Lumpur is a five-star venture that’s strategically located is KL’s upscale shopping district, Jalan Bukit Bintang. A respite in the heart of Tokyo, we are located in a quiet, upscale neighbourhood next to corporate offices, shopping, and entertainment. Welcome to Whale View Manor Guesthouse - the ultimate Cape Town accommodation destination offering a wide range of cultural, adventure, leisure, ocean and land based activities and tours. Perfectly positioned on a pristine white beach, Whale Watcher's Luxury Beach Apartments offers you world-class accommodation right on the beach at Surfer's Corner. Whistletree Lodge is a luxury lodge situated in Queenswood, one of the eastern suburbs of Pretoria. Whether you are looking for peace and tranquility or an adventurous break away, let "White bridge farm" be your choice of destination. The White Morph offers some of the best accommodation in Kaikoura. 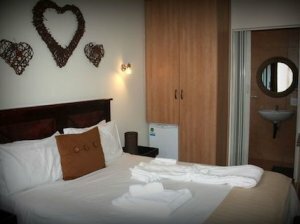 Our accommodation has a style to suite all needs, from the Corporate Traveller to holidaying family. Ideally situated for stopovers when travelling from Gauteng to George, the Willow Historic Guest House offers excellent comfortable accommodation, fine food and a homely atmosphere. The resort offers three-star graded self catering accommodation units, a large caravan park, private camping sites, as well as conference, function & wedding venues. The resort’s unique combination of exceptional service, luxury accommodation and tranquil setting has ensured that it remains the best in comfort and entertainment in Namibia. This family-friendly hotel is located in Rio de Janeiro (Downtown - Santos Dumont Airport), close to Cinelandia, Nova Livraria Leonardo da Vinci, and Praca Quinze. Renowned for hospitality and for the excellent service, Windsor Martinique Hotel awaits you with a prepared and well trained staff to warmly welcome you. Windtown Lagoon Hotel offers exclusive accommodation in this kitesurfers’ paradise, next to the West Coast National Park in South Africa. Conveniently situated, 12 km just outside Middelburg, on the N10 (Cradock road), this farm accommodation offers everything you need.